Appreciate the kind words, and thanks for reading. What people are these, exactly? I like your blog, by the way. I’m going back to check it out some more, as time permits. Goodness, Nephre. Do you feel better now? It’s been my experience that when someone rails against basic, fact-based research, the one who rails has had his personal beliefs questioned. It’s not my intention to offend but merely to explain a position and support it with coherent evidence. I rather doubt you read more than the first paragraph, but it’s possible you’re not familiar with the processes of presenting a supported argument in an historical context. 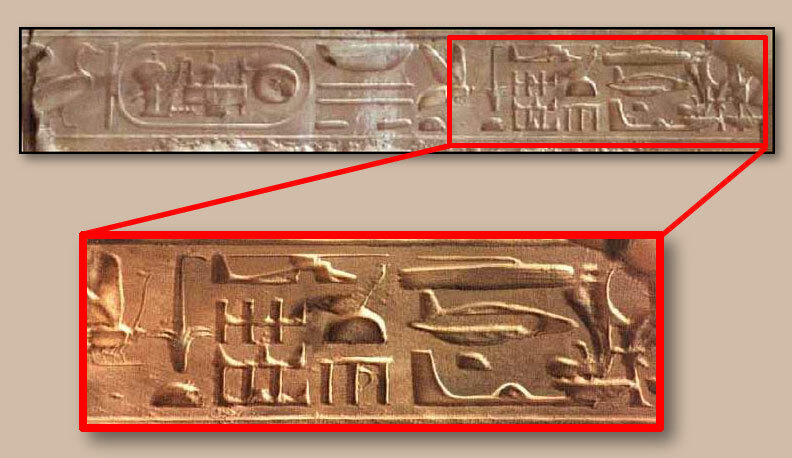 A firm belief that these depictions actually do represent “flying machines” from the ancient Nile Valley reveals your difficulty in exercising critical thinking. But enough of that. Rather than your railing at my position, how do you present and defend your opinions? If there were something “factual” about this “research” I would have no quarrel with it. But there is only an _assertion_ (you really should learn to distinguish one from the other _assertion_ vs. _fact_ that is)… that this is a palimpsest. There is no indication (other than the assertion) that it is a palimpsest. And despite many discoveries by many people over many years that may cause you some cognitive dissonance at the mere thought that earth may be more interesting that your _assertion_ would indicate – it seems unfair to simply use your narrowness of thought in order to hector people as if you had some sort of deep scientific knowledge. Good luck with that. I wouldn’t do anything to discourage the full playing out of your one-track mind. I’m glad you wrote back but we’re not getting anywhere. I can’t guess what your ultimate motivation is or what you hope to establish because I don’t know you. But so far your posts are much like those of many fringe adherents: long on words but short on substance. You still have done nothing to disprove my position. You talk of facts and yet don’t present any. Feel free to post another reply but please provide more substance so I (abd other readers) can get some sense of what you’re hoping to say. Otherwise, please don’t bother to post again. web site, which is useful in support of my knowledge. Two verses from the Bible explains it all. Greetings. With apologies, but I don’t understand what passages about Noah have to do with “flying machines” in ancient Egypt. How exactly do these explain it? 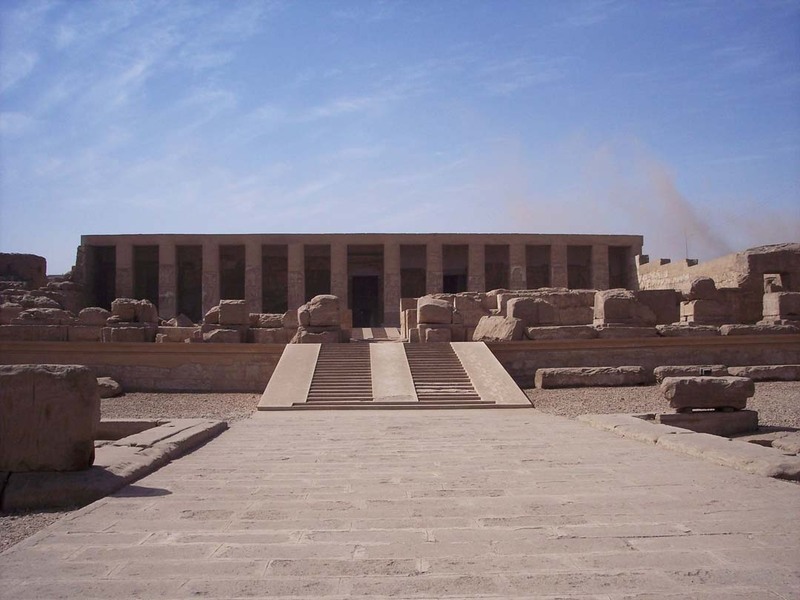 It’s logical to think that if there were helicopters and flying saucers in ancient Egypt that they would feature more prominently than one small area up high in one tomb – No ? – Good article. Yes, Isha, it would be logical to think so. And that’s part of my argument. The entire premise of ancient “flying machines” on a single beam in this one temple is illogical on the face of it. But fringe beliefs are not exactly grounded in logic to begin with. Thanks for reading. while I’m no expert on ancient Egypt, the subject has always gotten a lot of my attention. As I read your article i must say i thought you were reaching pretty hard until you brought “erosion” into play, then i knew you were reaching. I say this because there are so many things we can’t explain about this ancient people and their works. Your “opinion” is just what it is but in no way a fact. Perhaps we can’t explain a lot of things we see remaining in Egypt because we refuse to open our minds to things that could possibly explain them. in closing, I can’t tell you what exactly is depicted in the structure you reference but I am open to something that actually makes more sense than what you’ve offered. Maybe they don’t depict flying machines but they definitely were etched into that stone as a symbol to something. Seymour Butts? Really? Anyway, skepticism is healthy and useful, but when evaluating ancient artifacts it must be weighed with a mixture of logic and context. In this case, why would ancient craftsmen who worked for two different powerful kings etch random objects of which they could have no awareness, into a royal titulary in a mortuary temple? Erosion is possibly one factor but more to the point is the palimpsest—one inscription cut over an earlier inscription. 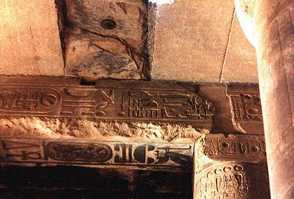 And Ramesses II was well known for this, even when the earlier inscription belonged to his own father. You’re right that we must maintain an open mind, but our evaluative process must always be framed by extant evidence as well as our understanding of the culture in question. kmtsesh. You want to use logic? Ok I’ll bite. To the far left of the images there is what is undoubtedly a Insect and a fish. moving to the right from there, oops a helicopter. I bet you have no problems agreeing on the insect and the fish but when it comes to modern day flying machines, no way. Maybe your approach should to figure out why there would be a flying machine there than immediately discrediting it. you are part of the problem. Modern day scholars teaching in our universaties will simply go with “we have no idea how this or that happened” rather than open up their scared mind. well ancient egypt was responsible for science,math,agriculture,astrology!! so maybe they were advanced to that sort of knowledge..the way things are whitewashed now we will never know right?? uummm something to think about right? would europians give credit to ancient egypt??? not!!! Trust me, I’ve thought about it—for more than 30 years. Or, more properly put, researched the realities of pharaonic Egypt. My original intent in delving into ancient societies wasn’t based on fringe themes, but along the way I thought it important to combat wild speculations to which the fringe are addicted. Hence this blog. No one can deny the Egyptians were advanced for their time, although folks like the Sumerians of Iraq had already ventured into math, astronomy, agriculture, and the like even before the Egyptians. When we adhere to real-world evidence and study the development of Nile Valley populations both before the down through pharaonic times, things like “flying machines” are of course absurd. Tangible evidence is really what matters. 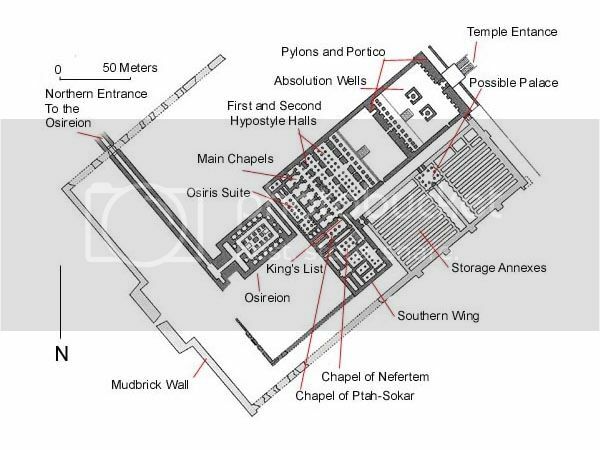 The poor interpretations of temple wall depictions do not matter. I have been extremely interested in this subject matter for quite some time now. I highly, highly, highly recommend watching Nassim Haramein’s four part lecture series titled “Crossing The Event Horizon”. Nassim has credentials world wide. He is a Mathematician, Astro-Physicist, Scientist, Historian. This particular lecture series is 8-9 hours long and contains an entire two hour section (part 3 i believe) that explains much of what you are describing (and questioning) in the above text regarding the Egyptians. I appreciate you putting this information out there. Knowledge is power. I hope with the best of intentions that you (and anyone else who read this comment section) can take a step into this informational realm. This lecture absolutely changed the way I view the world, past history and as well as the outlook on future advanced technologies. Take this gemstone of knowledge and it shall benefit every aspect your life. Nassim sheds a light on concepts that regarding this subject matter that i had never, ever thought about. Cheers everyone. Anyhow, I found in a museum in the Netherlands a very good look a like image of a helicopter carved in a stone wall of a former Egyptian temple which resembles the picture as can be seen in the tomb. Further I would recommend a lot of people to look personally at discutable (Egyptian) items ,in stead of discussing only from behind the desk and computerscreen.